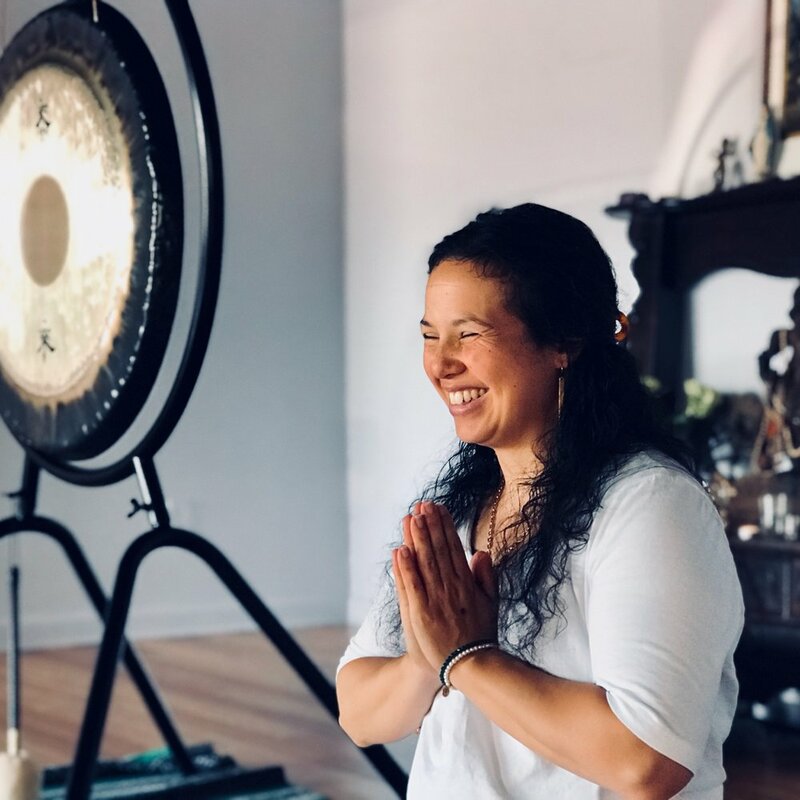 Ravi Kirin’s discovery of Kundalini yoga in 2013 during a retreat at Kripalu in Massachusetts changed the course of her life. She went from being the owner of a French bakery cafe with her husband to being a Kundalini yoga instructor and life purpose coach. Kundalini yoga, also know as the yoga of awareness is a very transformative practice that deepens one’s sense of self. While being very effective in bringing the physical, mental and emotional bodies in balance, Kundalini yoga’s primary objective is the discovery of our true essence and remembrance of our divine nature. Ravi Kirin is a KRI certified instructor of Kundalini Yoga as taught by Yogi Bhajan, a certified holistic coach and Bar Consciousness facilitator. Ravi Kirin, originally from France, lived in Connecticut from 2004 to 2017 and recently moved to the area. When she is not teaching or coaching she takes care of her 5 children.